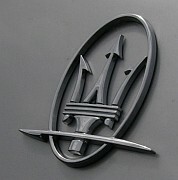 Maserati was founded by the four brothers of that name in 1914. This web site aims to provide information on all the road cars developed and built by Maserati plus its prototypes. Information on the company, its motorsport activities and history are joined by a host of other features which should be of interest to the owner, mechanic, enthusiast or general reader. There are 18 model specific pages which cover almost all production models, up to and including the latest releases. For each model there is an overview, technical details, illustrations, links and more. MODELS a complete list of all the 18 models currently featured. Alongside Alfa Romeo, Ferrari, Fiat, Lancia and Maserati, there are now the 'OTHER MARQUES' pages which cover 52 other Italian Marques. This site has no official links with Maserati or any of the other companies mentioned within it.